Boomzap Entertainment’s multiplatform RPG kicks off its Kickstarter campaign. A fantasy turn-based RPG spanning 3 platforms, Legends of Fire & Steel, the newest title from Boomzap Entertainment is now up on Kickstarter as the developers hope to reach their $50,000 goal within this month to see the game’s completion. 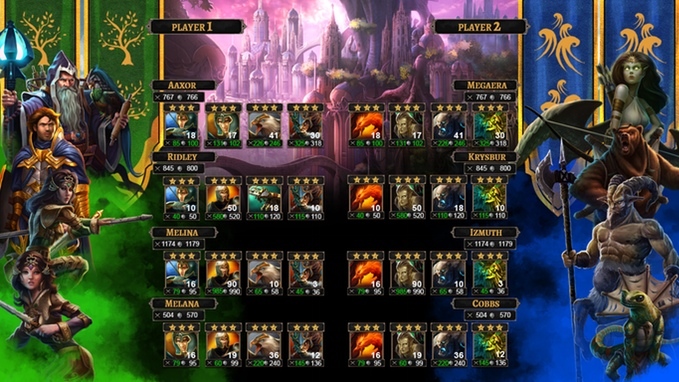 Legends of Fire & Steel features the classic conquest fantasy RPG theme with a wide range of playable characters from different factions, the title looks to become an MMORPG with multiplayer features like Match finders for Ranked and Casual Play, and as well as Leader Boards. While it is described as a turn-based RPG, Legends of Fire & Steel also features some factors from RTS titles with the player’s goals set on Territory capture and unit management. Boomzap states that the game will not be on free-to-play, but the good news is that each purchase, once completed, will include all of the game’s features with no in-game micro-transactions or possible paid DLCs. Legends of Fire & Steel is developed for the PC, Mac and Tablet gaming platforms, and potential pledgers can now help support the game by visiting the Legends of Fire & Steel Kickstarter page. 3 Responses to "Legends of Fire & Steel now on Kickstarter"